Your blog is a marketing tool. When used well, it can be excellent for business. The problem is that it’s not always used that well. There are too many instances when people forget about it, or just don’t offer the best content for their readers. If not done properly, your blog isn’t going to get you the new clients or customers you’d hope to gain. It could even turn people away, forcing them to your competition. That doesn’t mean you should stop blogging all together. You need to change your tactics, and watch out for common mistakes. Here are the top four reasons your blog isn’t getting you new clients or customers. This is the biggest issue. Many people blog about what interests them, rather than thinking about the audience. I did it in the past. I had a blog for aspiring writers that was linked to a website for those looking to hire writers. The two were just the complete opposite. It’s needless to say that I struggled to get new clients that way. So, I changed my blog. I moved the posts aimed for aspiring writers onto another blog; one aimed at mentoring aspiring writers. Then this blog had posts crafted specifically for the right audience. Think about your target audience. Who do you want to attract to your business, and how can your blog do that for you? 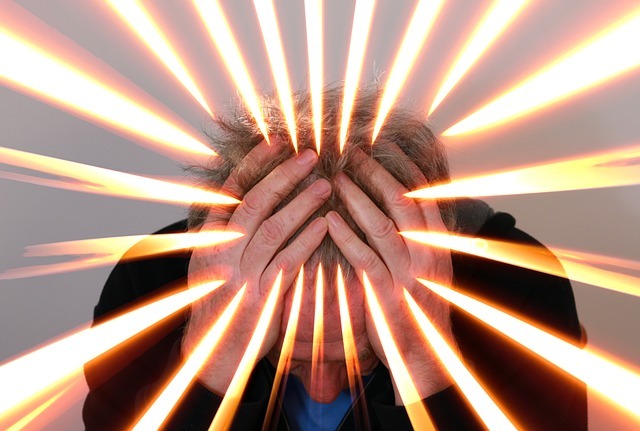 Do you blog and then forget about it? Is there that expectation that you’ve built your blog, now you wait until someone reads your content? That’s not the way blogging works. Your blog isn’t getting you new clients or customers if you do that. There are now millions of websites online. People put thousands of new content out on a daily basis, and your competitors will be out there doing the same as you. The difference is they will actually help their blog reach their target audience. Your competitors will post on social media, use hashtags properly and even learn the new aspects of SEO. This is all important, and will help you reach your audience. If you don’t have time for this, that’s not a problem. 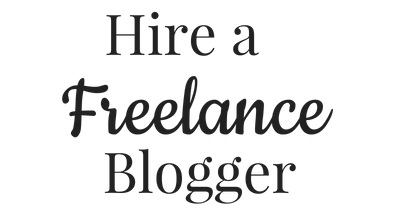 This is what a freelance blogger can help you with. One can even do the writing and posting for you! They’ve read to the end of your blog post and got some great information. Now what? In many cases, people just don’t know what you expect them to do afterwards. Should they buy a product? Are you offering a service for them? Maybe you want them to sign up to your newsletter. Assume that nobody is going to look past your blog post, and help direct them to the next step. They’re not going to become new clients or customers without this. The good news it’s really easy to make this happen. 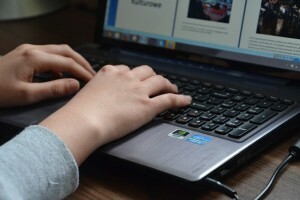 You just need a call to action at the end of your blog post. Encourage people to sign up to your list and learn more, or ask them to purchase the item you’ve talked about in your blog post. If you tell them to do one thing, they’re more likely to do it. If you don’t, they’re more likely to click the back button. The whole point of blogging is to show that you’re someone a persona can trust. If you just spout the same information time and time again, people are going to click away. Your blog isn’t getting you new clients because of this. It’s important to offer reliable information from your own views. I often share something that happened to me in the past, with how I overcame it. You can see that I’ve been where you are right now. This offers credibility and accountability. 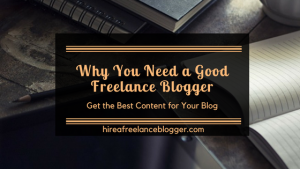 You can still do this if you hire a freelance blogger. Tell the blogger the experience you’ve had and work with her to make your post sound just like you. Explain the message that you’re trying to get across. All experienced bloggers are doing is putting your words into a way that looks and sounds great for readers. Isn’t it time you made some changes to your blog posts? 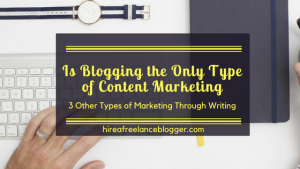 Your blog isn’t getting you new clients or customers most likely because you’re not writing for them. Think about your target audience, and then look into promoting afterwards. If you do need help with any of this, I’m available. Please just visit my page to hire me as your blogger, or we can set up a Skype call to discuss your needs first.